-Amami Migrants Tell All- Introducing the ‘Lifelines’ of Amami Oshima! About half a year has passed since I moved to Amami Oshima. Amami Oshima is my grandmother’s hometown, but there are also many things that surprised and impressed me (who was born and raised in Osaka) about Amami. I’d like to introduce information that I found out after coming to Amami, and the ‘lifelines’ that are indispensable to daily life, from the perspective of a migrant. When people hear ‘Amami Oshima,’ many mistakenly say “That’s in Okinawa right?” but it is actually in Kagoshima Prefecture. It is an outlying island located about 400 km (248 mi) from Kagoshima City, which is about the same distance between Osaka and Tokyo. Although it is in Kagoshima Prefecture, Amami Oshima is quite far from the mainland. After deciding ‘Let’s move to Amami Oshima!’ I fully utilized the internet to learn more information. I felt uneasy as I began to think of all the things that had been ‘commonplace’ that may become less common; things that are even more important than lifestyle information, like the condition of the internet, public/community facilities, hospitals and schools, as well as convenience stores and supermarkets. However, after actually trying to live here, the times where I have found it ‘inconvenient’ are very few!! 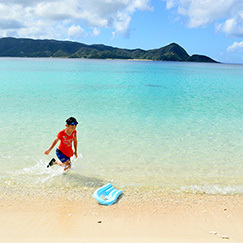 For an ‘isolated island,’ the living environment and transportation on Amami Oshima is very well arranged, and it definitely is in the top of the list of easiest isolated islands to live on. I’d now like to introduce more detailed information on this. 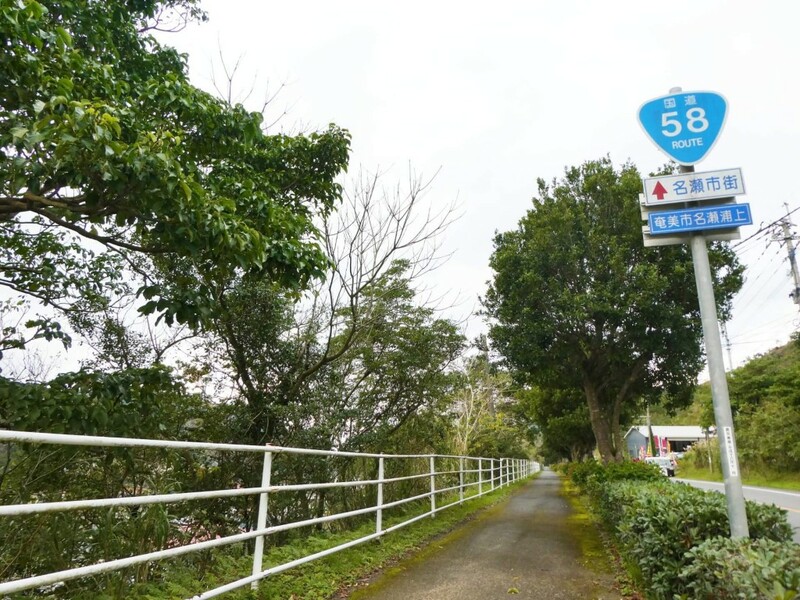 In this article I’ll be introducing the area around Naze, Amami City, which is considered the main center of Amami and is about an hour by bus or car from the airport. In the area around Naze, there is everything you could possibly need for your daily life. In terms of the internet, I recall that it took some time to start construction for the internet connection, but there is the NTT Line as well as other local providers available, so nothing in particular changed merely because it is an island. In reality, Amami Oshima is more convenient than I had thought! First, I’d like to introduce the medical institutions. In Naze there are large General Hospitals, as well as smaller specialty practices such as Pediatricians and Dentists, as well as Otolaryngology​（ear, nose and throat) Clinics, so please be at ease. On the contrary, there are so many that you’ll have a hard time deciding. 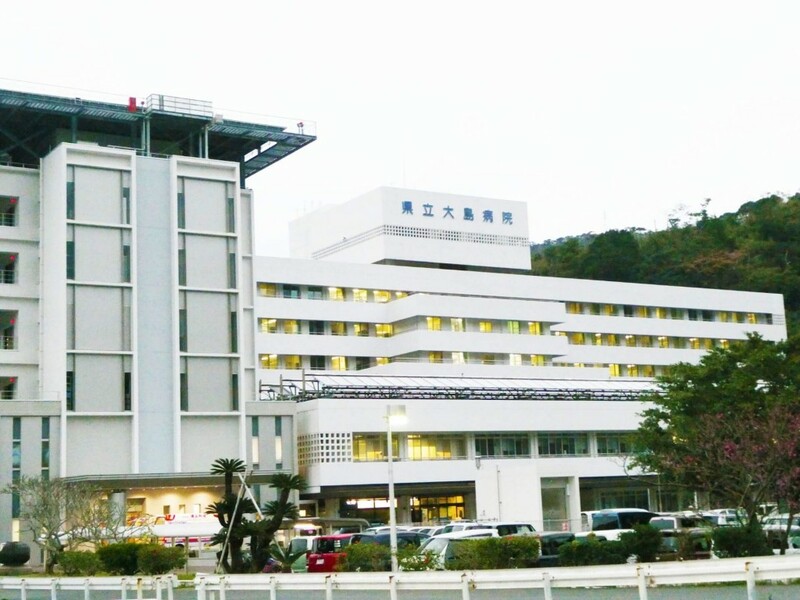 Among these medical institutions, General Hospitals that have an Obstetrics-Gynecology Department are the Naze Tokushukai Hospital and the Kagoshima Prefectural Oshima Hospital. 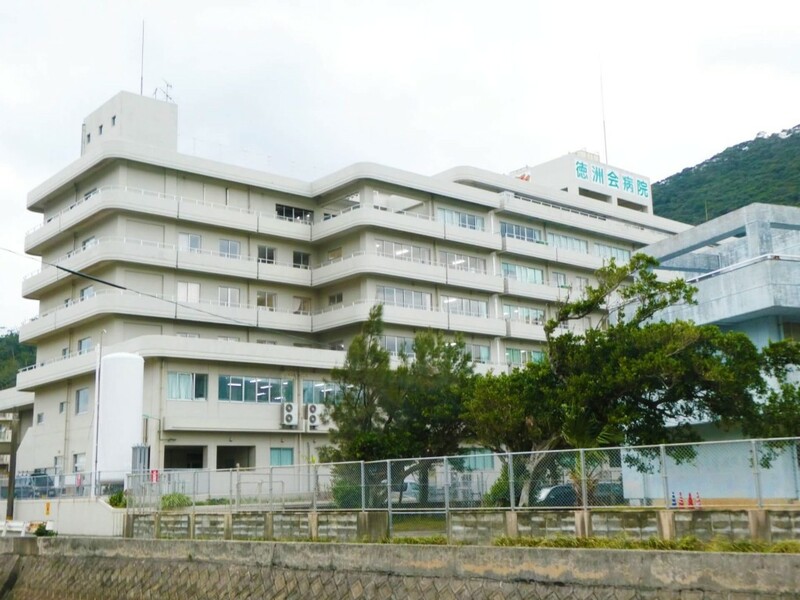 While there is no Obstetrics-Gynecology Department, the Amami Chuo Hospital and the Oshima District Medical Assoc. Hospital are also large General Hospitals. Even without a car, all of these General Hospitals are within 30 min from the main section of Naze by bicycle or bus. In addition to these, there are also many specialty practices such as Pediatricians and Dentists, so you never have to worry about where to go for a hospital. Although I do not have children myself, once I do, I’ll probably be concerned about kindergartens and schools. Those who move to Amami must be worried about many things, such as where the schools are located and what they are like, among others. 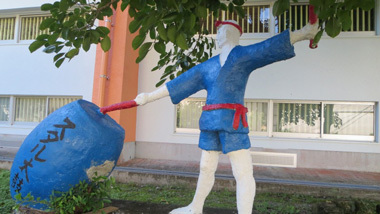 There are 19 kindergartens/nursery schools in Amami City. There are 17 elementary schools, 5 elem./middle schools, 13 middle schools, and 4 high-schools (including part time schools). Kindergartens also offer tours as needed, so if you have any questions or concerns it is possible to address them there. Unlike a city, you can surely have a relaxing time in an environment right next to nature. I mean, they were all going to school in shorts even though it was January! I was so surprised! The next section will be about that which is essential to everyday life; food. 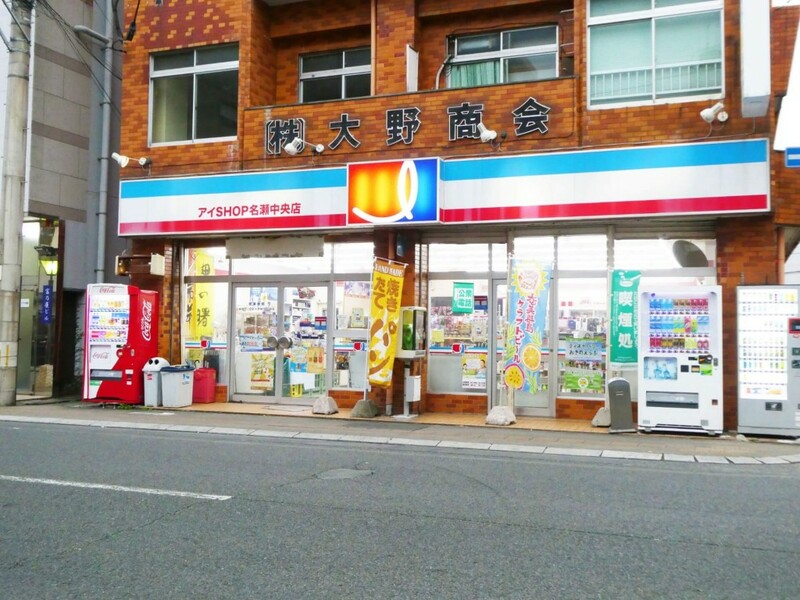 In cities, there are many kinds of major convenience stores such as Seven Eleven, Lawson, Family Mart, and more. 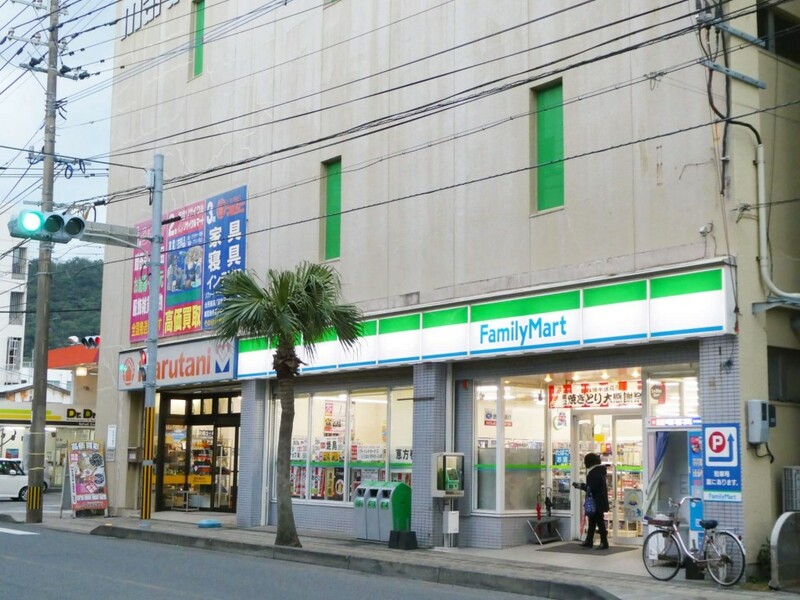 However, on Amami Oshima there is currently only Family Marts. 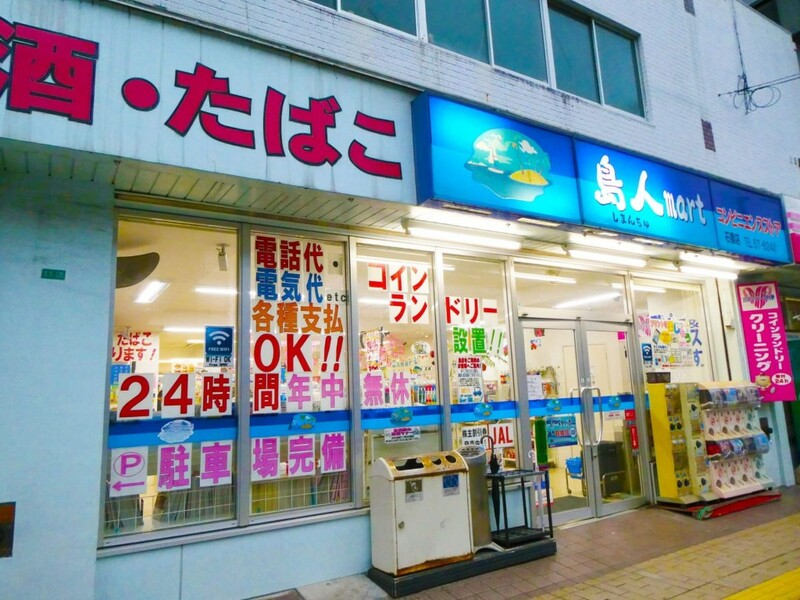 By the way, the Family Marts on Amami Oshima are fun because they sell products like snacks from Amami and spam onigiri that are not sold in stores in other cities. 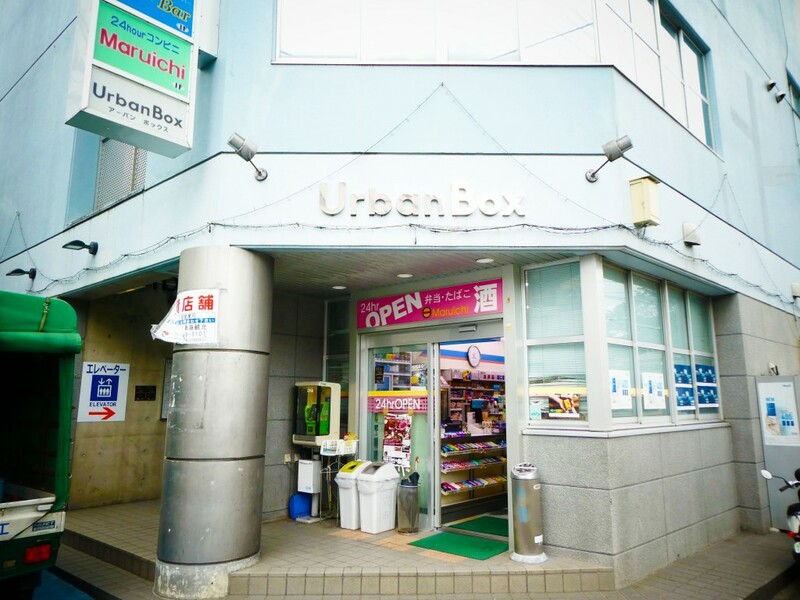 There are also local convenience stores aside from Family Mart. They sell special products made on Amami, so they are just right for tourists looking to buy souvenirs! 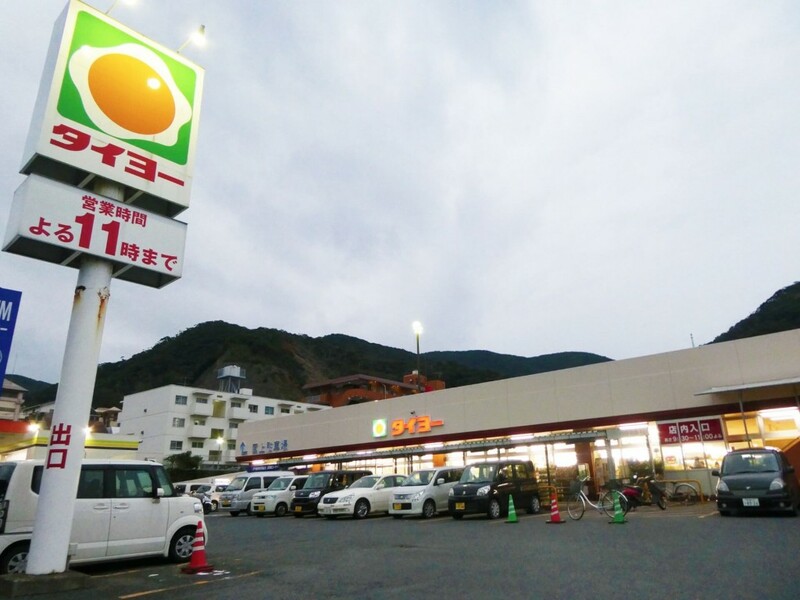 A convenience store that is expanded within Kagoshima Prefecture. 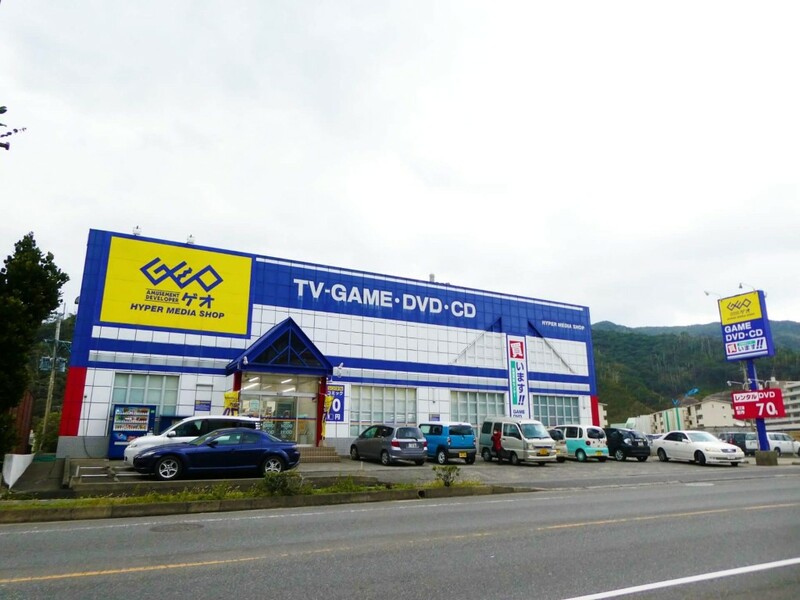 They have stores across all of Amami Oshima. They also have freshly baked bread! 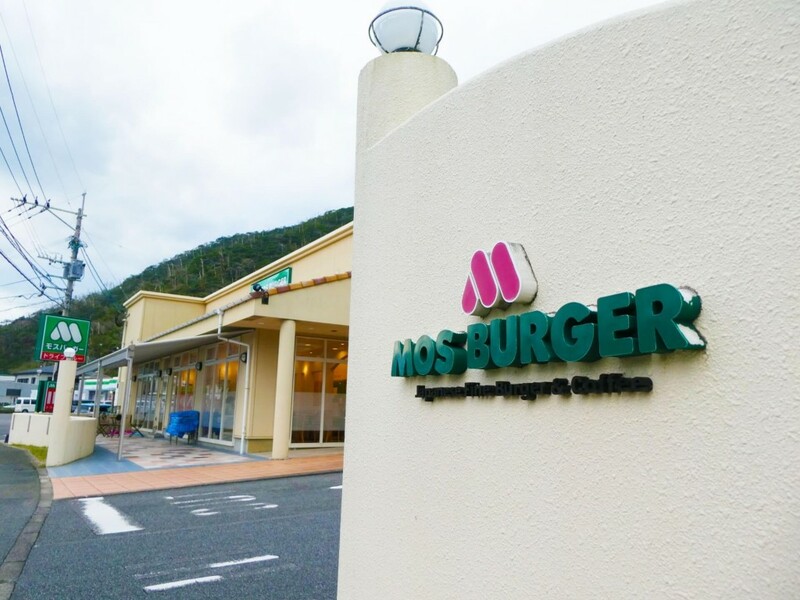 As the name suggests, this convenience store was ‘born’ on Amami. The dishes and eat-in menu they offer is filling, and it is always lively with customers! 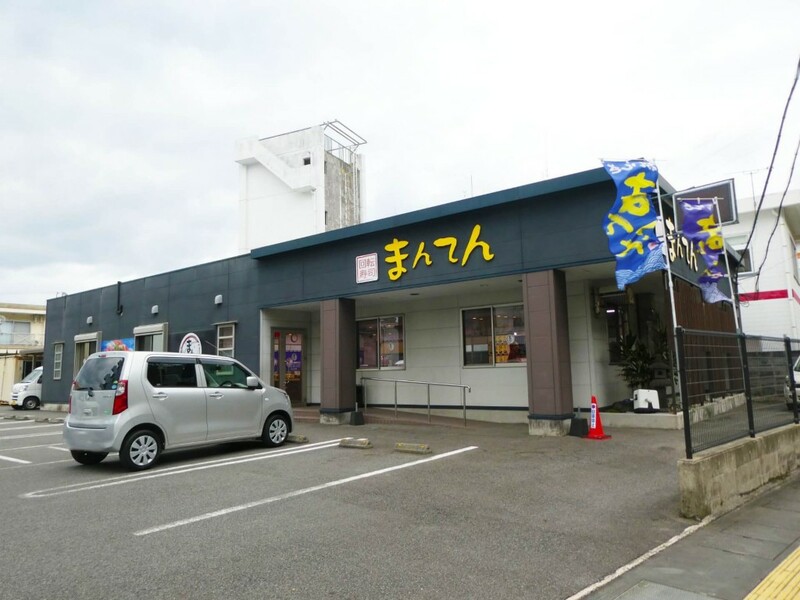 They have locations in both Naze and Sumiyo Town. 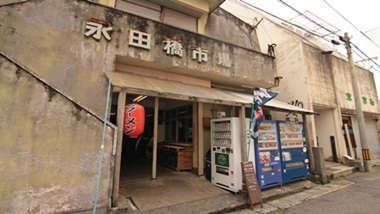 This is a convenience store, open 24/7, located in the middle of the bar street Yanigawa. They provide cigarettes, alcohol, snacks, and other various everyday necessities. 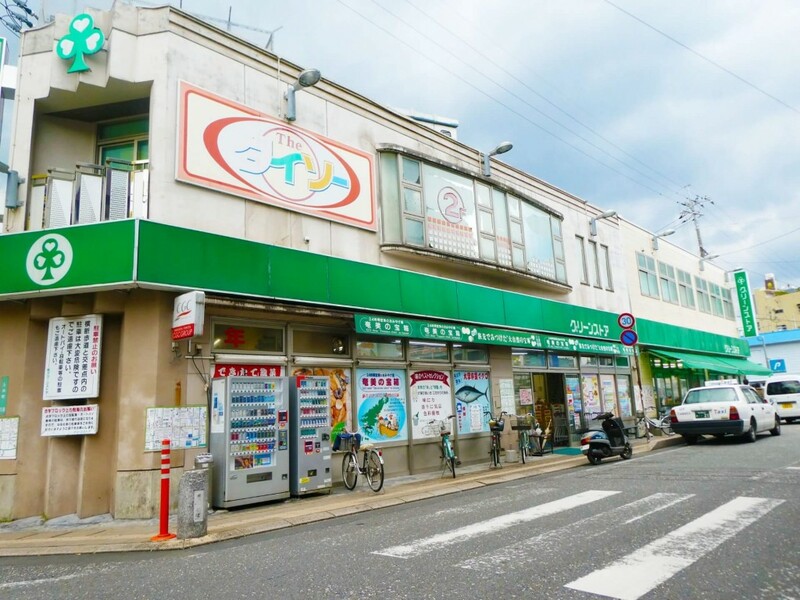 123MART convenience store is open 27/7, and is located just minutes from Yanigawa Street. They have many products such as special Amami-made goods. 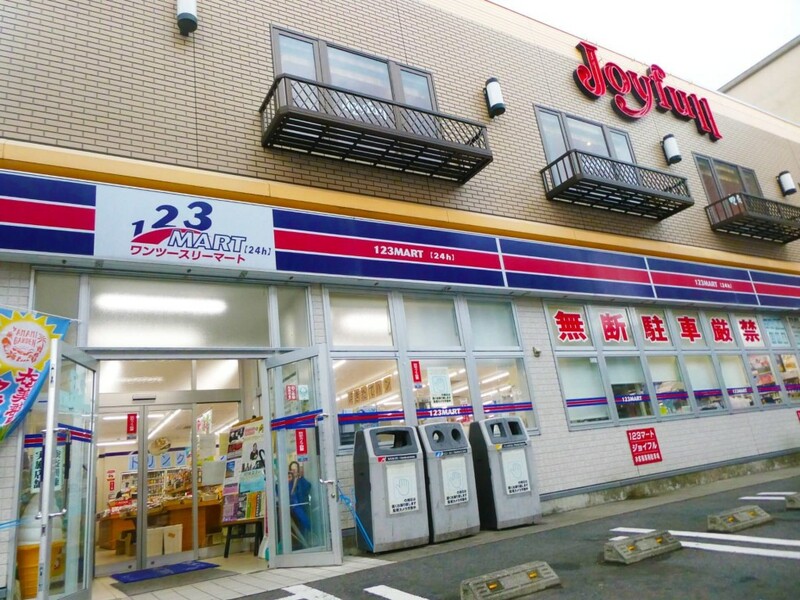 On the 2nd floor, there is a family restaurant Joyfull（ジョイフル, which is also open 24/7. At local supermarkets, you can get your hands on sashimi from fresh-caught fish, local fruits and vegetables, local island dishes, and other unique island foods. They are very convenient, because there are some that are open 24/7, as well as ones with point-cards so you can shop a good-value prices. 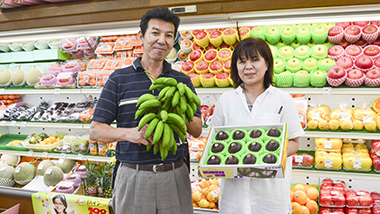 The local Green Store supermarket has 4 locations in Naze and is a major company. They sell the Amami Oshima local dish ‘Keihan’ (chicken soup) base, brown sugar sweets and local spirits, so I recommend it for sightseers looking for souvenirs as well. 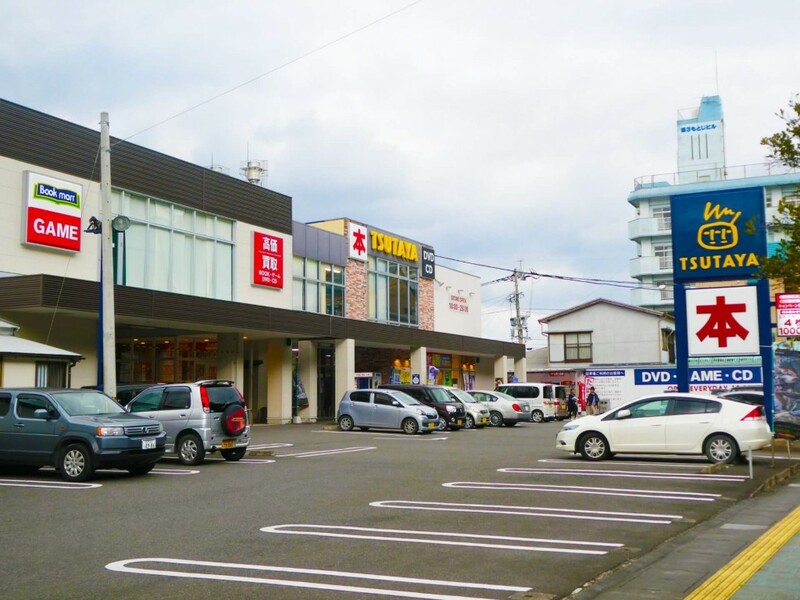 There is also a DAISO 100-yen shop on the 2nd floor of the popular Naze Irifune Main Store location. That’s right! 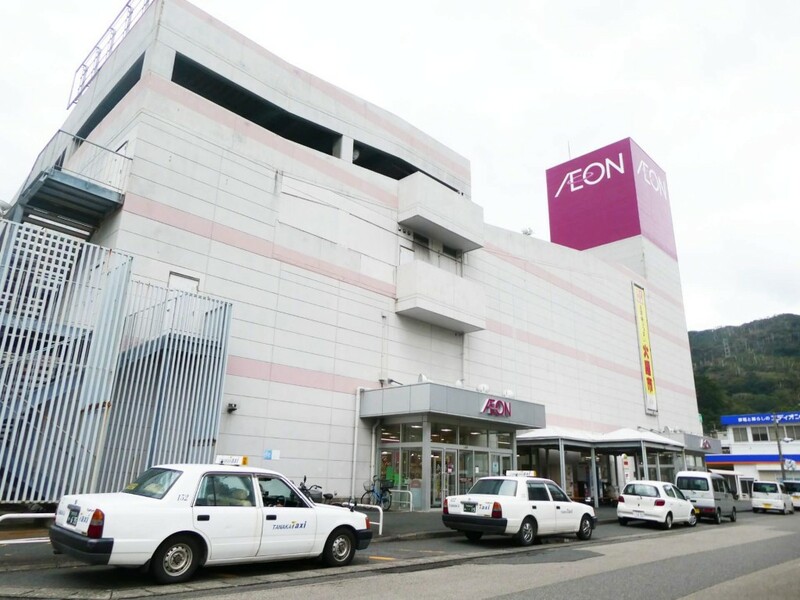 There’s also an AEON! They are a large supermarket chain, so they have everything from daily necessities to various food products. You must check out the special sale days when you can shop at great value prices! 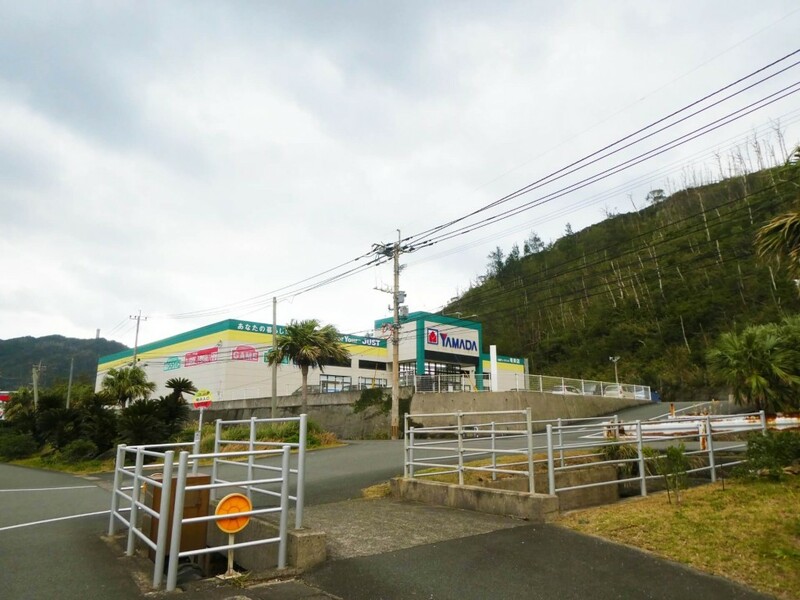 ‘Supermarket Taiyo’ is definitely the leading supermarket of Kagoshima. There are 3 locations in Naze, and some locations have clothing sections or products that cost only 100 yen. 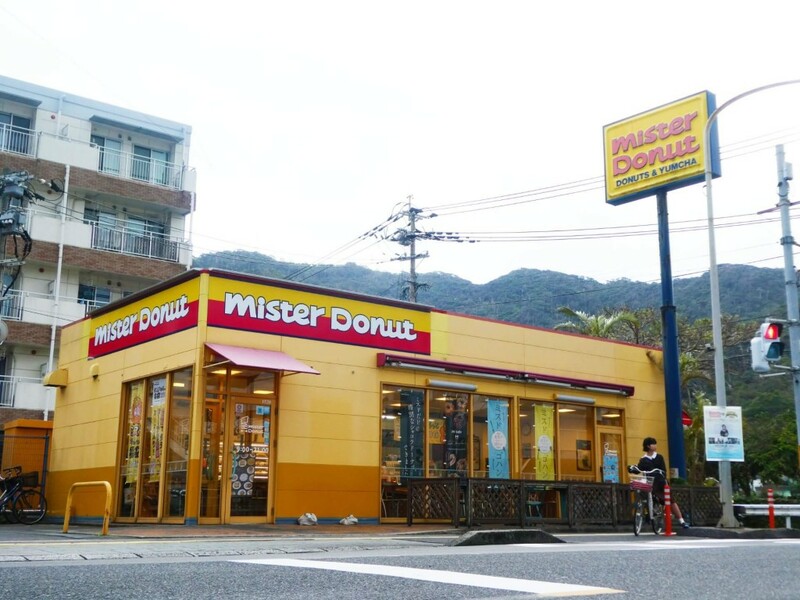 There are various chains on Amami that have other locations nationwide, such as Joyfull, the fast-food restaurants Mos Burger and Mister Donuts, as well as conveyor belt sushi, TSUTAYA and GEO! Although there aren’t any gyu-don (beef rice bowl) stores, Starbucks or delivery pizza restaurants, the stores listed above are satisfying enough! Also, you can order anything else you need online, but it may take some time because it is an island. Humans can get through anything unexpected, as long as they get used to the natural absence of certain things. While in Osaka, whenever I went into town, I easily purchased anything I wanted as soon as I saw it, like clothes, shoes, makeup products, etc. 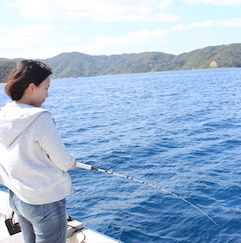 Once I began to live on Amami, this materialistic part of me disappeared. Of course, I think that a main point is that Amami doesn’t have any recreational/amusement facilities. In this world that is overflowing with people and things, I finally came to see what was truly important to me. Undeniably, the islanders of Amami love drinking, have great personalities, and are very kind and calming. 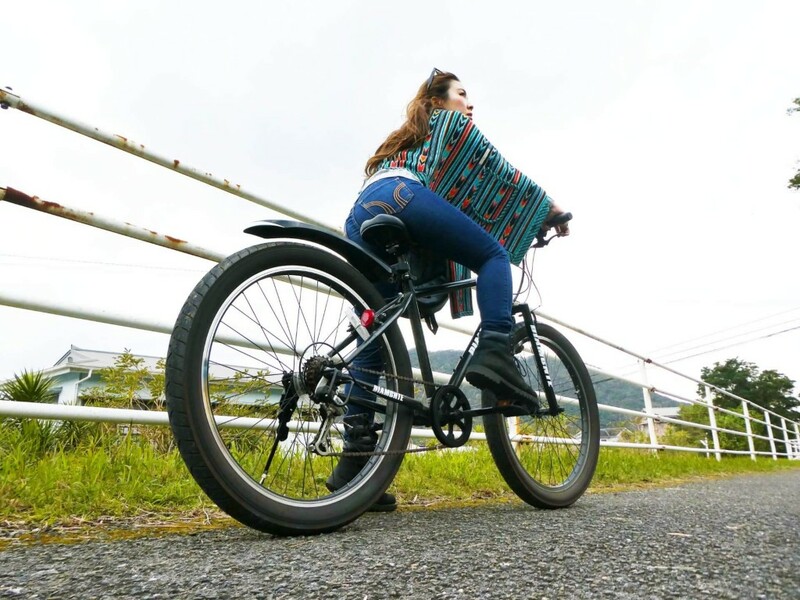 By moving to Amami, you can easily relax surrounded by nature and clean air. The image and uneasiness I had before moving completely blew away after living here. This world is full of things which you don’t know unless you try it at least once in your life. The things we imagine and preconceptions we have before moving are things that we come to find are completely different after actually stepping into the place. 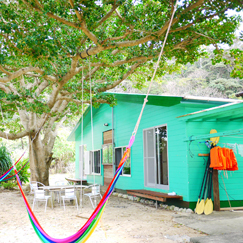 Amami Oshima is a very easy place to live, and moreover, you can live right next to the overflowing nature of Amami. Above all, please come visit and fully experience Amami Oshima sometime!